Getting on the road to justice and financial recovery so you can restore your life. We welcome your calls and emails 24 hours a day, 7 days a week. We provide free, no obligations case evaluations, and there is NO fee for our services unless compensation is secured for your claim. While we are ready to answer your Pradaxa questions whenever you are ready to reach out to us, we also invite you to check out the following for helpful answers to common questions about Pradaxa claims and compensation. What Types of Allegations Are Being Made in Pradaxa Cases? Pradaxa cases generally allege that Boehringer Ingelheim (the company that makes Pradaxa) negligently brought a risky drug to market and that this drug has caused serious, if not deadly, injuries. Properly label the drug, thereby misrepresenting its safety and effectiveness. Many Pradaxa cases are still pending in U.S. courts. New Pradaxa claims can still be filed against Boehringer Ingelheim. How Much Is My Pradaxa Claim Worth? In some cases, punitive damages may also be awarded for Pradaxa claims. These damages are typically reserved for cases associated with especially flagrant or egregious negligence. How Do I Get a Pradaxa Case Started? Simply contact Bell & Pollock, P.C., and our attorneys will take care of everything necessary to initiate your case – and to bring it to the best possible outcome. Experienced at going up against pharmaceutical companies in drug injury cases, our lawyers know how to effectively champion our clients’ rights and hold drug companies, like Boehringer Ingelheim, liable. Fighting tirelessly to help you maximize your financial recovery so you obtain the full compensation you deserve for your Pradaxa injuries and losses. At Bell & Pollock, P.C., we recognize that compensation will never restore the lasting impacts of serious Pradaxa injuries. We also know, however, that these awards can help injured people and families pick up the pieces and reclaim their lives. 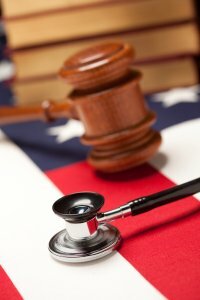 A Pradaxa drug injury lawyer at Bell & Pollock, P.C. is ready to review the details of your potential claim and provide you with experienced advocacy as you seek compensation and justice. Call (720) 580-4294 or email our firm for a free, no obligations consultation with one of our lawyers. This free opportunity to learn more about your potential claim can yield critical information that may make all the difference in your recovery and future. Since 1984, the seasoned attorneys at Bell & Pollock, P.C. have been providing victims of negligence with superior representation, compassion and personal service. We know how devastating drug complications and injuries can be; that is why we are fully committed to helping our clients secure the justice and compensation they deserve. Let us explain more about how we can help you recover in a free case evaluation.